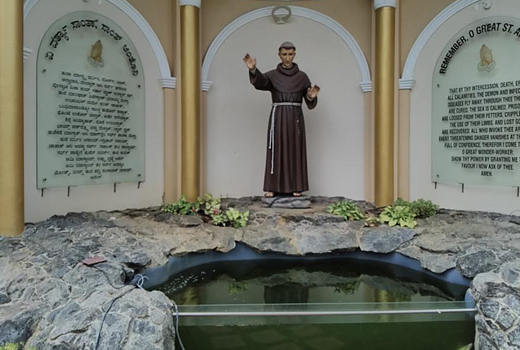 Mangaluru, June 5,2017: The solemn annual feast of St.Anthony of Padua is within sight on June 13, celebrations world over will mark the event of this highly popular saint. 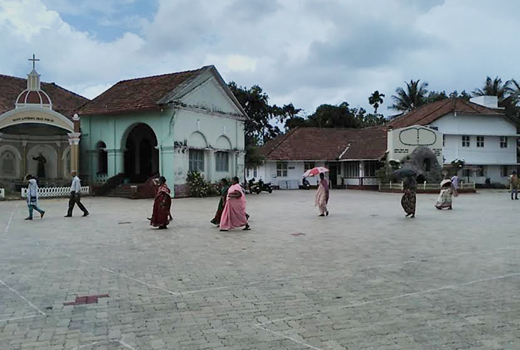 In Mangaluru the 119 year old celebration has been launched at the Jeppu Ashram. 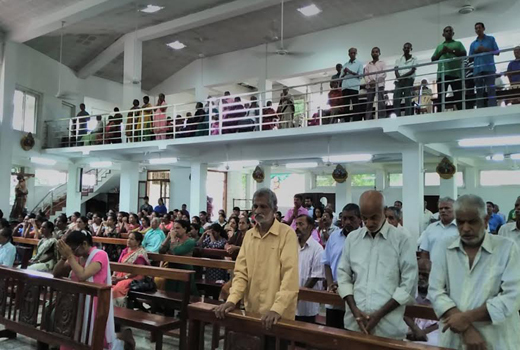 Daily special prayers mass and novena are held at 12 noon and will continue here till June 12, with the roughly 400 residents of the Ashram joined by the many devotees of this miraculous saint who is greatly venerated by people in all walks of life from far and near. Each day the 13 miracles and doings of the great saint are reflected upon and an atmosphere of sanctuty prevails and grows. This serene institution is specially blessed and graces are seen to overflow. the grand finale of the holy observance will be held on June 13, Tuesday at Milagres Church as per tradition at 6 pm, with Bishop of Mangalore Rev.Dr.Aloysius P D’Souza leading the congregation. On June 13, to make it convenient for the aged and sick, a solemn mass will be held at 8.15 am. Prior to that on June 10, 11 and 12, at 6 pm there will be the ancient practice of ’Tredium’ at Milagres in readiness for the feast day on June 13. 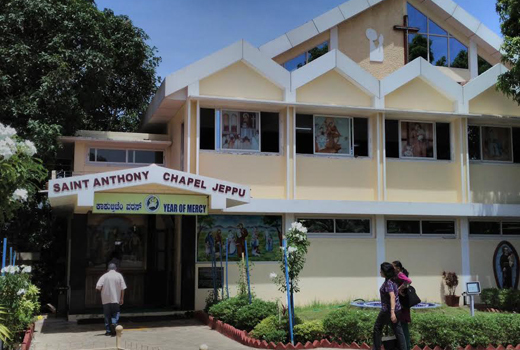 There is sheduled to be a short ’Retreat’ on June 6, Tuesday, from 9 am to 1 pm at the chapel of St.Anthony Ashram. The faithful of Mangalore and sub-urban areas will be glad to know these details we hope. 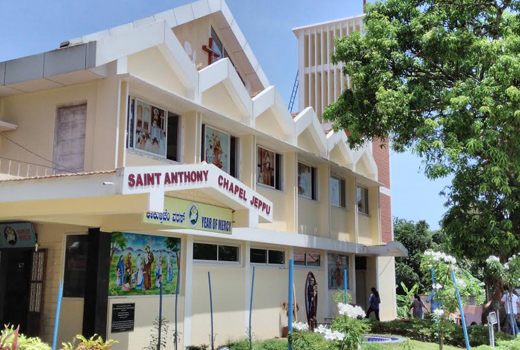 The ’Ashram’ or ’St Anthony’s Charity Institutes’ had a simple start on June 12, 1898. At the Milaagres church (set up in 1680) on June 13, 1898, the feast day, a start was made and the devotion of the people became legendary. Devoted people brought offerings, what was realized from these offerings was distributed among the poor . A life size statue of St Anthony from the Vatican, Rome was obtained in 1900 blessed by Pope Leo XIII, it is venerated at the shrine even today. On February 15th 1899 a second Feast of St Anthony, that of his relics were commenced, the tradition has grown to this day. In 1911, Rt Rev. Dr Paul Perini S.J. then Bishop of Mangalore, with rare vision and unusual faith in Providence the work became a separate entity, out of the Milagres Parish directly responsible to the Bishop. The “Poor Homes” to shelter the challenged, destitute, orphans and the aged who did not have any one to take care of them materialised with Fr Colaco leasing a plot across the road. He laboured hard for of 31 years honoured with the status of ’Msgr’; before he could retire he passed away on July 20, 1929, his mortal remains are interred in front of the Shrine Altar. The number of inmates kept shooting up, a bungalow and the surrounding land of 27.36 acres at Jeppu, was acquired in an auction by Rt Rev. 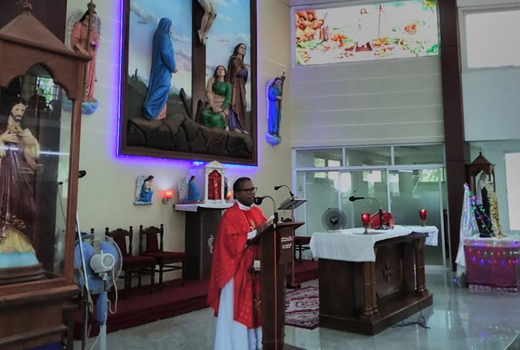 Dr Victor R. Fernandes, Bishop of Mangalore. Rev. Charles Lobo’s extraordinary efforts and the Almighty’s plan enabled Rev. Julian Rego, on October 15, 1936 to complete the work of shifting the inmates from Milagres to the new homes at Jeppu, the present site. The diocese of Mangalore will always prize this Ashram as most dear, urging it to strive even more to serve the suffering needy. In the modern era from Year 2000, Fr. Clifford D’Souza; then, late Msgr Fred V. Pereira were Directors; due to age and ill health retirement resulted. In May 2008, Msgr Denis Moras Prabhu took charge of the Institutes in addition to his position as Vicar General of the diocese, for a while.The present Director Fr.Onil D’Souza along with the the long time Administrator Fr. Francis D’Souza, assistants, staff, volunteers are now doing admirable work. Many generous souls in past decades have contributed and are remembered always. Caring for helpless, gravely ill and physically challenged numbering around 400 day to day, is a task that is possible to human limitations only with the direct grace of goodness, St. Anthony is seen as a positive tool of the powetr of the Almighty. St. ANTHONY OF PADUA, 1195-1231 A.D : St.Anthony of Padua, also venerated as Saint Anthony of Lisbon, was born in Lisbon, Portugal, which was then a part of Spain, in 1195 A.D.His life is a legend that can be read in many ways, his extraordinary love for Christ and the poor transformed him to serve all mankind. On June 13,1231, the beloved preacher became ill he died at the young age of 36. His body was buried in a chapel, which is now enclosed by the Basilica of St. Anthony in Padua. In 1263, when his remains were transferred to the Basilica, his tongue was found to be still fresh and red in color. Saint Anthony was declared a saint 352 days after his death, by the same Pope Gregory he had met in life. St. Anthony of Padua is one of the most famous disciples of St. Francis of Assisi. He was a famous preacher and worker of miracles in his day, and throughout the eight centuries since his death, he has become known throughout the world as a wonderful support for suffering people. The people are all set to seek the blessings of Saint Anthony.